Biju Patnaik: From India to Indonesia from Freedom movement to Kashmir war Biju babu has contributed everywhere. 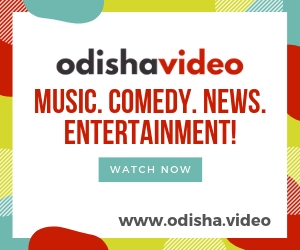 Know More about the Life story of Bhoomi Putra Biju Babu, A short Documentary on Biju Patnaik. ଦଳ ବଦଳିଗଲେ କ’ଣ ଚରିତ୍ର ବଦଳିଯାଏ? ଇଣ୍ଡୋନେସିଆର ୨୦ହଜାର ଟଙ୍କିଆ ନୋଟ୍‌ରେ ଗଣେଶଙ୍କ ଫଟୋ!